A customer dropped off a kids bike for a safety check. 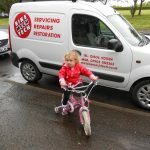 It was the family kid’s bike and was to be used for the latest Grand Daughter. 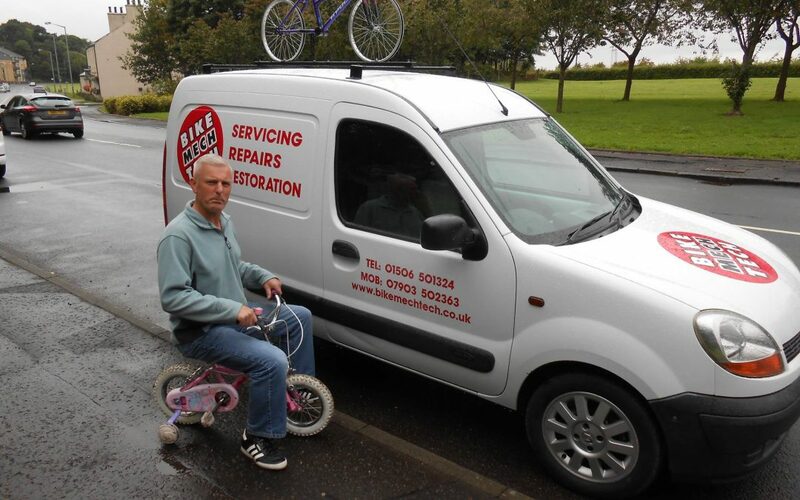 He wanted stabilisers and a chain guard fitted at the same time. 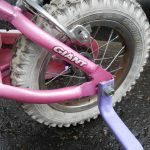 The chain guard proved to be a problem to source, so a “donor” bike was acquired to utilise the chain guard and stabilisers. The chain guard had to be modified to fit. That proved to be quite a job! When Louisa came to collect her bike, the seat and brake levers were adjusted to suit her. Website states, at BikeMechTech “no job too small”. This should now say “no bike too small”! Ironically the bike is a “Giant”! I hope you enjoy your bike, Louisa.